will not be shared with reviewers until after final selection of projects. research or research accepted for publication will not be accepted. members should also be noted in the appropriate field. described above will be automatically rejected. The Call for Proposals to present at the Sixth REFORMA National Conference (RNC6) taking place in San Juan, Puerto Rico on September 7-9, 2017 is now open! The REFORMA National Conference VI Program Committee invites you to present your work with others international library community colleagues in San Juan, Puerto Rico on September 7-9, 2017. The conference theme is “Building communities: saving lives”. Remember that all proposals should reflect the conference theme. Conference Program Committee will evaluate proposals for relevance to the theme, as well as clarity, originality, and timeliness. Proposals deadline: Friday, May 5, 2017. The ALA International Relations Round Table (IRRT) International Poster Sessions Committee invites you to submit poster session proposals on international themes for the 2017 ALA Annual Conference in Chicago! The poster session committee encourages submissions from all types of libraries and on any topic relevant to international librarianship. Submissions may include a description of an innovative library program; an analysis of a solution to a problem; a report of a research study; or any other presentation that would benefit the larger library community. Poster session participants place materials such as pictures, data, graphs, diagrams and narrative text on boards that are usually 4 x 8 feet. During their assigned 1½ hour time periods, participants informally discuss their presentations with conference attendees. Titles/abstracts from previous years are available on ALA Connect (note that this site is only serving as an archive for previous Annual Conference poster sessions – for information on this year’s posters, go to the 2017 ALA poster session website). The deadline for submitting an application is February 3, 2017. Applicants will be notified by the end of March, after a double blind peer review process, whether their submission has been accepted for presentation at the conference. The 2015 ALA Annual Poster Sessions will be held June 24 and 25, 2017 (the Saturday and Sunday of the conference) in the exhibits hall. Start your application process now. You must create a username and password for the site before you submit your application, you must choose to submit a poster session proposal after you log-in, and you will receive a confirmation e-mail after you have completed your submission. Pennsylvania Libraries Research & Practice (PaLRaP) invites submissions for peer review for the Spring 2017 issue. 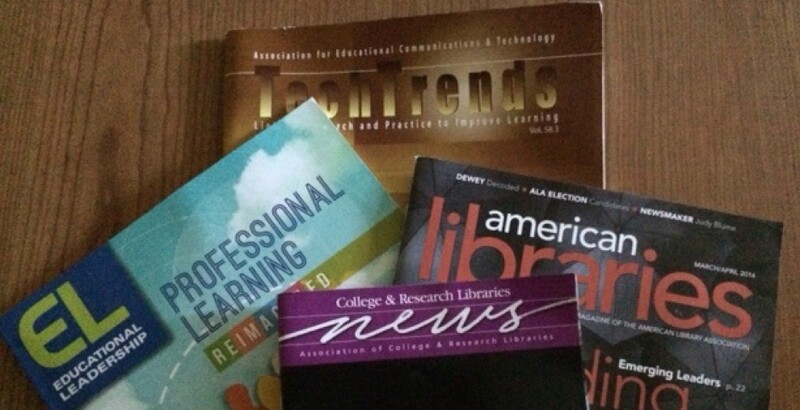 Articles can be under the category of research or practice, and must feature Pennsylvania libraries and librarians. For full consideration of articles for peer review, please upload submissions by March 15, 2017. Any questions can be directed to the journal’s editors, Anne Behler (behler@psu.edu), and Tom Reinsfelder (tlr15@psu.edu). (For a PDF version of this announcement, please click here). A new online Major Reference Work (MRW) co-sponsored by AECT and Springer entitled Learning, Design, and Technology: An International Compendium of Theory, Research, Practice and Policy has been launched covering topics concerning research and practice related to the design, development, implementation, and evaluation of learning environments, instructional systems, and performance technologies. This is an ongoing effort with an evolving collection of contributions that are peer reviewed. Because the MRW is online, substantive contributions longer than a typical journal article are encouraged (e.g., 7.000 to 17.000 words), and contributions can include interactive elements and can be modified by authors as new findings become available. The Literature Reviews and Systematic Reviews of Research Volume is one of 16 Volumes. We specifically seek to update and explore standard literature reviews conducted in educational research as well as systematic reviews of research per the special issue on that topic published in Educational Technology & Society and/or in other major research journals. Expanded works previously published that incorporate additional findings, works that synthesize findings across several studies are especially sought. All contributions will receive much wider dissemination than is possible in a typical journal publication. We are on the lookout for systematic examinations of prior scholarly work that: (1) Define and clarify the problem/research question (2) Summarize previous investigations to inform the reader of the state of research; (3) Identify relations, contradictions, gaps and inconsistencies in the literature; (4) Suggest the next step or steps in solving the problem/answering the research question. All contributions to the Literature Reviews and Systematic Reviews of Research Volume will undergo the same peer-review process as all other submissions to the other fifteen volumes. If you are willing to contribute to this state-of-the-art project, please send your proposal in Word format (no longer than 250 words) by December the 18th, 2016, summarizing: the problem/research question you will address; what is already known about it; questions that have not been answered; and a case for why further study of research questions is important to the field. Please send your proposal as well as any questions you might have, to Dr. Gloria Natividad & Dr. Hale Ilgaz, Section Co-Editors. With pleasure we invite you to participate, submit an Abstract and/or organize and chair an Invited Session (4-6 talks) or address an invited talk in the forthcoming Conference in Limerick, Ireland ((23-26 May 2017) for the 9th Qualitative and Quantitative Methods in Libraries International Conference (QQML2017, http://www.isast.org) which is organized under the umbrella of ISAST (International Society for the Advancement of Science and Technology). This is the ninth year of the conference which brings together different disciplines on library and information science; it is a multi–disciplinary conference that covers the Library and Information Science topics in conjunction to other disciplines (e.g. big data, open data and open source, innovation and technological transfer, management and marketing, statistics and data analysis, information technology, human resources, museums, archives, special librarianship, etc). The conference invites special and contributed sessions, oral communications, workshops and posters. The target group and the audience are library professionals in a more general sense: professors, researchers, students, administrators, stakeholders, technologists, museum scientists, archivists, decision makers and managers, information scientists, librarians, records managers, web developers, IT specialists, taxonomists, statisticians, marketing managers, philologist, subject and reference librarians et al. The emphasis is given to the models and the initiatives focus on the Data. In all the above cases at least one of the authors ought to be registered in the conference. Abstracts and full papers should be submitted electronically within the timetable provided in the web page: http://www.isast.org/. All abstracts will be published in the Conference Book of Abstracts and in the website of the Conference. The papers of the conference will be published in the website of the conference, after the permission of the author(s). Professors and Supervisors are encouraged to organize conference sessions of Postgraduate theses and dissertations. Post Graduate Student sessions for research are especially organized. Paper contributors have the opportunity to be published in the QQML e- Journal, which continues to retain the right of first choice, however in addition they have the chance to be published in other scientific journals. QQML e- Journal is included in EBSCOhost and DOAJ (Directory of Open Access Journals). Submissions of abstracts to special or contributed sessions could be sent directly to the conference secretariat at secretar@isast.org. Please refer to the Session Number, as they are referred at the conference website to help the secretariat to classify the submissions. We invite you to attend EdMedia and submit proposals for papers, panels, roundtables, tutorials, workshops, posters/demonstrations, corporate showcases/demos, and SIG discussions. The Conference Review Policy requires that each proposal will be peer-reviewed by for inclusion in the conference program, proceedings book, and online proceedings available on LearnTechLib–The Learning and Technology Library.